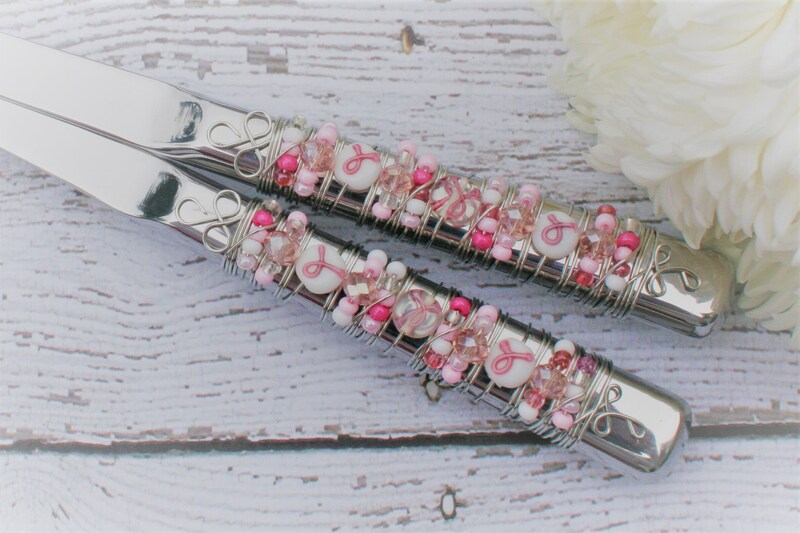 Inspired by couture style and chic designs, this Pink and White Breast Cancer beaded salad serving set is the perfect gift for your special friend who is the warrior and fighter! We will donate 10% of your order to the American Cancer Society to help find a cure! This is a MADE TO ORDER ITEM. Bead placement will vary slightly. I use a non-tarnishing silver wire and a variety of faceted pink and white glass beads with the Breast Cancer Ribbon to show your support for finding a cure. Sold in a set of 2.